The Wine Pairing Weekend crew had a really tough assignment this month. Find a really special bottle of wine that’s been languishing in the cellar for too long, and open it. Well, we had to do more than open it, we had to pair some good food with that special bottle. Fortunately, the #winePW bloggers were more than up to the task, and thus we are able to bring you our Open That Bottle Night Wine Pairings. But today I only have a little taste to share–below please find the #winePW titles for March. You don’t have to wait too long; this Saturday, March 12, these blog posts will be published…you can check back here for the links. Did you participate in Open That Bottle Night (OTBN) too? Come join the conversation about your experience as we hold our monthly #winePW Twitter chat. As always, that chat is the 2nd Saturday of the month–March 12 in this case–11 a.m. Eastern Time, using the #winePW hashtag. Don’t know what OTBN is? I described the event in more detail in this post. Can’t wait to read about a great Open That Bottle Night wine pairing? 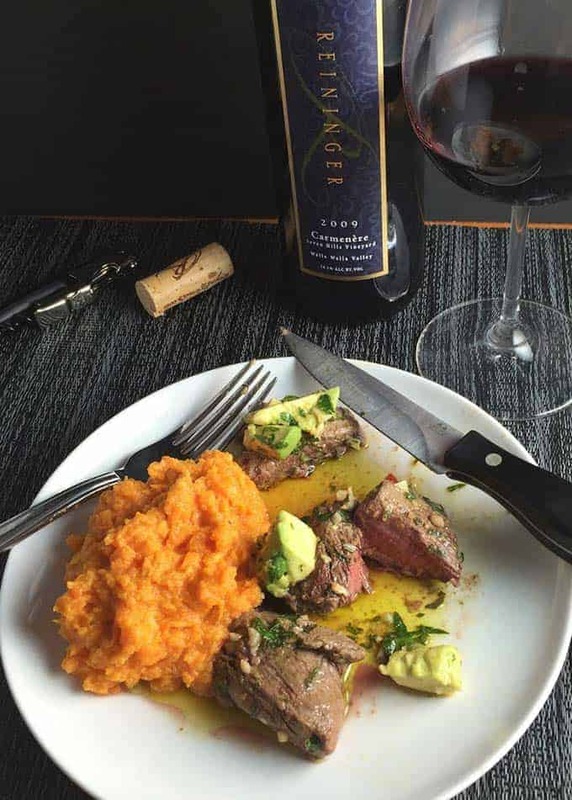 That tasty picture at the top of the post is the Avocado Chimichurri Beef Tenderloin paired with a Reininger Carmenere for OTBN 2015. If you missed the March #winePW fun, you can always join us for the next month’s event. In April we will be talking about Spring Meal Pairings for Southern Rhone Wines, hosted by Jill at L’Occasion. You can get the full list of past and upcoming #winePW event here.